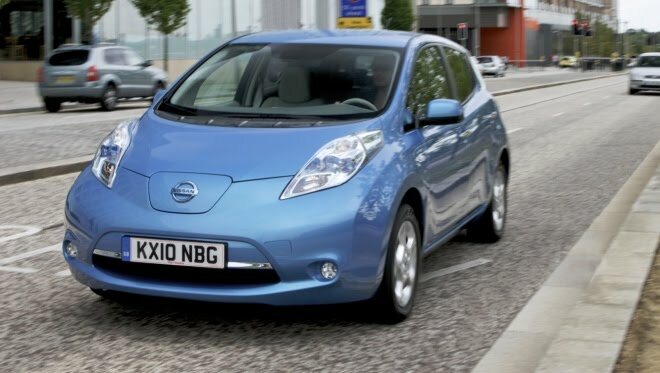 In a significant vote of confidence in electric cars, the Nissan Leaf has today been named the 2011 European Car of the Year. The battery-powered Leaf beat off close competition from the sporty Alfa Romeo Giulietta and practical Vauxhall Meriva to win the accolade, racking up 257 points to the Alfa’s 248 and Meriva’s 244. Like the F1 title, the Car of the Year contest is a war won on points, with consistent scoring more important than individual victories. Only three of the 57 judges, Jean-Jacques Cornaert of France, Thomas Imhof of Germany and Run Korsvoll of Noway gave the Leaf the maximum score of 10, while nine judges – four Italians, one Portuguese and four Spanish – gave the Leaf the minimum score of zero. In total, 20 judges put the Leaf ahead of the other six finalists, by a margin of their own choosing. Each judge can award 25 points as they see fit across the seven shortlisted cars, as long as they split the points across at least five choices, don’t pick a joint winner and don’t award more than 10 to any single car. Five of the 20 judges giving the Leaf the thumbs up came from the UK, where the Leaf is due to be assembled from 2013. Like the infamous Eurovison Song Contest, COTY is not immune to hints of national bias in the scores awarded.